It’s a new year so we are giving you the top email marketing trends for 2017. 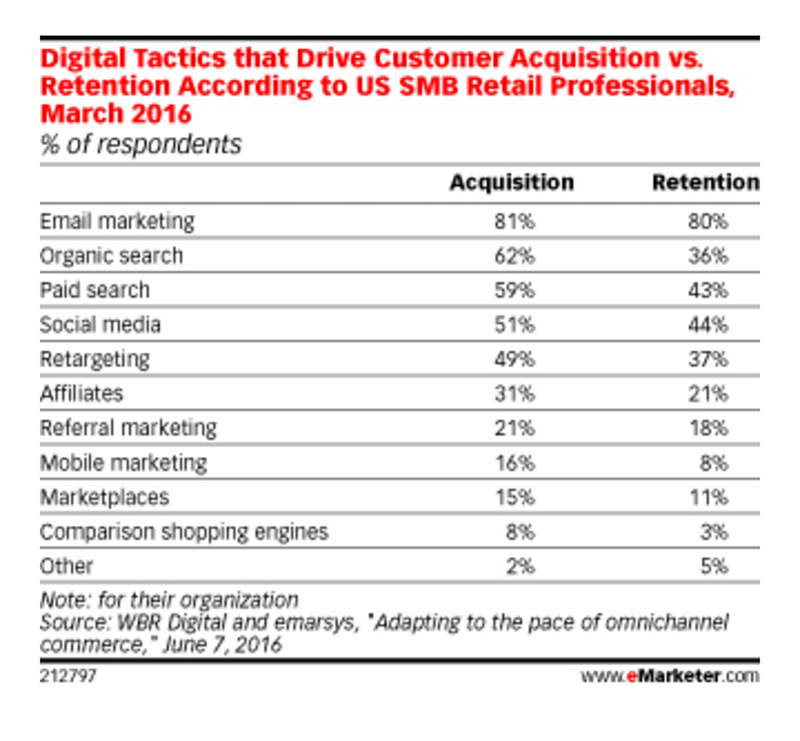 Email marketing continues to outperform all other digital marketing channels. It is the most effective marketing tool for building brand awareness, converting customers, increasing sales and ROI. Staying on top of email trends can help email shine for your company. Brands love email. A study from eMarketer showed that 80% of brand marketers said email marketing drives customer acquisition and retention. Organic search, paid search, social media and display marketing were all rated effective by less respondents than chose email. Email marketing’s growth and momentum will continue to rise in 2017. Email marketing has real power, even with millennials. New research shows that 73% of millennials prefer email. Most millennials check email from mobile devices and even though millennials love social media for communicating with friends they cited email as their primary communication vehicle with brands. Consumers across all age demographics are using their smartphones to check email. Brand marketers must optimize their email campaigns to work on all mobile devices or they risk alienating customers. When designing email messages in 2017, brands should focus on creating engaging messaging and visual content. Personalizing email messages can also help your creative shine and incorporating interactive content like videos, social media buttons, and animated gifs can help make creative more engaging. They key to email success is pushing emails with the right content at the right time to always-on devices. Email is thriving, but marketers need to continue to evolve their email tactics to cater to a new audience in 2017 and beyond. eTargetMedia, a leading provider of Email Lists, Postal Lists, Data Append and Creative solutions, releases 2017 Email Marketing Trends Report, which features the top email marketing trends to watch out for in 2017. The new year is a perfect time to forecast the trends that will drive successful email campaigns and the report will help marketers apply these trends to their upcoming campaigns. For a limited time, eTargetMedia is offering a free consultation to customers who mention the report and 20% off new email list orders. 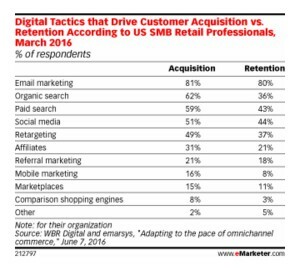 Email continues to be the fastest-growing channel for marketing ROI and is the biggest driver of Customer Acquisition and Customer Retention. Email marketing has real power, even with Millennials. According to recent surveys, Millennials have stated that they want to receive brand communications via email. Most millennials check email from mobile devices and even though millennials love social media for communicating with friends they specifically cited email as their primary communication vehicle with brands. Email Integration is a big trend that will continue to grow this year. Integrating email messaging into other marketing channels, promoting email content across social media pages and including social sharing buttons on emails are trends that will be seen in email marketing campaigns. 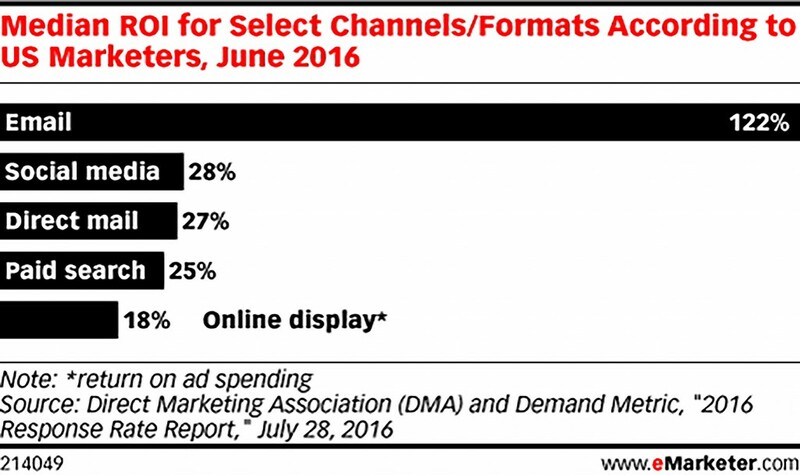 Mobile has changed where and when consumers check their email accounts. Optimizing email campaigns for mobile viewing is going to be a huge factor in successful email campaigns. Email personalization, email automation, responsive email design and interactive email elements are all factors that brands should be implementing in their email campaigns this year. Email marketing continues to outperform all other digital marketing channels including social media. It is the most effective marketing tool for building brand awareness, converting and retaining customers, increasing sales and ROI. It is extremely important for marketers to keep up with changing email trends and recognize these trends in their email campaigns. eTargetMedia’s industry experience, dedicated account managers and reputation for following all industry standards have helped the company remain an email marketing leader for over 15 years. The company produces measurable results in traffic, customer acquisition and revenues and has won numerous industry awards. eTargetMedia works with some of the top brands in the world and has helped clients like Mercedes Benz, Alcon, MetLife, Marriott, AARP, P&G, TGI Fridays, Anthem, Sony and more to increase their email marketing ROI. Email marketing is the go-to channel for marketers and continues to grow, engage consumers and deliver positive ROI. Mobile use has helped email to thrive and given a positive boost to email marketing ROI. The Direct Marketing Association and Demand Metric surveyed US marketers in June 2016 and found that email delivered a median ROI of 122%, over four times higher than other marketing channels including direct mail, social media, paid search and online display advertising. As stated in eMarketer, agency professionals and in-house marketers agree about email’s effectiveness. According to a March 2016 poll from Econsultancy, both in house marketers and agency professionals named email marketing as delivering the strongest ROI, at over 73%. Both groups also agreed that email delivers a large part of overall company sales. Email open rates are also on the rise. According to a 2016 analysis of all emails sent from a large email data provider, open rates are on the rise at 33.3% which is higher than the past 3 years. Bounce rates are also at their lowest at just over 4%. Email revenue continues to increase. Revenue from email has also increased. The Relevancy Group’s survey from December 2015, found that 24% of US email marketers said email marketing initiatives accounted for over a quarter of their overall revenues, increasing from 13% in 2014. With the number of email accounts increasing every year, email marketing will continue to see growth and will remain one of the most effective marketing channels. If you need help developing a targeted and strategic email campaign that produces measurable results, contact eTargetMedia. Visit us online at http://www.etargetmedia.com. Designing the perfect email can seem like a tough challenge but it gets a lot easier when you realize that simplicity is the key to a successful email campaign. Keeping your email messages precise and relevant to your audience’s needs is the way to maximize your results every time. If you are wondering how to motivate your customers to open and engage with your email, the answer is simplicity. Stick to the basics to ensure that your email messages are opened, read and acted on. 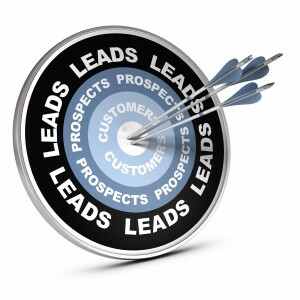 When sending an email message to customers and prospects, you should always have one goal in mind. The goal of your message should be featured right at the start of the message to quickly engage the reader. Whether your goal is to announce a new product, give your customers a special offer or introduce your company to a new prospect, every element in the email should support the main goal of the message. Keeping things simple with one goal will allow you to direct your customers to the desired call to action. Short subject lines make it easy for the email recipient to identify who the sender is. A simple and direct subject line will always yield the best open rates. The most effective subject lines identify the sender, feature the offer, and stress urgency in opening the message. Studies have proven that marketing copy that is focused, informal and easy to read has a higher response rate than long, complex copy. Read your email copy and then trim it down to ensure that you are only including essential information that will help increase open and click-through rates. You only have a couple of seconds to grab your reader’s attention so make sure your copy is easy to digest. Also, remember to speak to your audience in a familiar tone that is consistent with your brand. Keeping your copy simple is very important but you should also focus on creating an engaging design. Make sure the layout of your email is easy to follow and include a strong call to action to help increase engagement and response rates. You should include graphics and photos that complement the copy and ultimate goal of your message but don’t include overly produced content. Cramming too much information into an email message may force the recipient to abandon the message. Finally, make sure that all of the design elements follow your brand guidelines so the email recipient sees the consistency between your company’s brand and the email message. You’ve put all that effort into designing your email message and now it’s time to hit send. Before you send out your message, it’s critical to test your email to make it sure it renders well in the most popular email programs. Engage your audience by following these steps and remember to keep your emails simple. Keeping the process simple will yield the best results. Contact us to see how we can help you plan a successful email campaign at 1.888.805.3282 or http://www.eTargetMedia.com. One of the most important elements of any email marketing campaign is writing effective marketing messages that are optimized to engage your customers and generate results. You will drive more leads/sales from your email messages if your email message is relevant to your customers needs and shopping preferences and has a purpose to motivate the customer to act on your email. Things like prominent call to actions, email personalization and engaging subject lines can all help boost your email marketing campaigns. Here are the 5 most important tips for writing effective email marketing messages. At eTargetMedia, we strive to provide you with the most efficient email marketing services for your business. As seasoned specialists, we have endured countless trials of understanding the analytics and strategic methods of successful lead generation. In order to achieve positive gains, we dove into the depths of email marketing and analyzed each positive trend. Here are some tips to get you started on the path to relevancy. Often times, you will find that users will only be interested in receiving specific mail from an interest type – like weekly deals and coupons – rather than every bit of marketing email from your brand. You can cater to this by creating a link to the email preference page that allows users to easily opt out of the emails that they wish to not receive. Your recipient will remain engaged if you give them the freedom to control their preferences and what they receive in their inbox. Brands tend to send too many emails, which in turn overwhelms the customer. If you are receiving a large volume of opt outs from customers choosing to receive less email from you, consider sending an email that combines multiple emails into one. While you may have difficulty grabbing the attention of the customer with daily emails, combining them into a weekly one may be the solution to your problem. eTargetMedia can help you achieve this success with their optimized email lists. One of the most important elements of any email marketing campaign is writing effective marketing messages that are optimized to engage your customers and generate results. You will drive more leads/sales from your email messages if your email message is relevant to your customers needs and shopping preferences and has a purpose to motivate the customer to act on your email. Things like prominent call to actions, email personalization and engaging subject lines can all help boost your email marketing campaigns. Here are eTargetMedia’s 5 most important tips for writing effective email marketing messages. Make sure your email marketing messages have a clear purpose. Your email copy should be short and to the point to optimize customer engagement. Email inboxes are more crowded than ever so it’s really important to grab your customer’s attention with concise offers that clearly outline what you are trying to pitch. Entice your customers with an engaging subject line. Your subject line is the driving force behind whether your email recipients open your message or not. You need to create powerful subject lines that will motivate your customers to open the email. If your subject line fails to grab your customer’s attention, they may automatically delete the email and even if they open it, they may not give it their full attention. Include personalized content in your email marketing messages to make the email recipient feel like they are important to your business. This could include adding the person’s first name or a special promotion that is unique to them. You can also use customer segmenting to customize content to different consumer clusters. This can go a long way towards building customer brand loyalty. Preheader text is the short line of text at the top of your email that follows the subject line when an email is viewed in the inbox. Many email clients display preheader text to summarize the email to the receiver before they open it. Consumers often use the subject line and preheader text to decide whether or not to open your campaign. Keep your preheader text between 40-50 characters and make it compelling. The most successful emails include strong call to actions (CTAs). Make sure your email recipients know what you want them to do. Action verbs such as click here, order now, shop now, call now or sign up will encourage your customers to take the next step. Also, make sure you put your call to action in a prominent place and test different CTAs to see what generates the highest results.